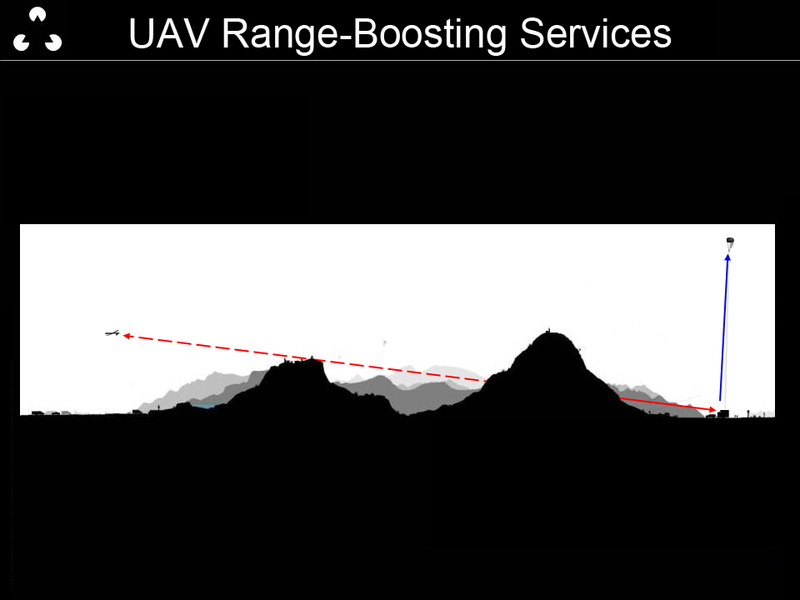 Line of sight radio signals are essential for steering an unmanned aerial vehicle and getting clear video signals back to the remote pilot. DDIS’s tethered balloons offer the ability to loft repeaters to 1000 feet in about 10 minutes. At this altitude, one can see an additional 30 miles. This elevated platform greatly expands the circle of coverage (and the market) for operating UAV’s in difficult terrain. Logistically this launch trailer deployed balloon avoids the costs of staging and maintaining repeaters on hard to access mountain tops (shown by the blue arrows on the left).